Bismillah Exporters & Importers is a professionally managed business entity that is engaged in offering wide range of diverse product, such as South Indian Granite, Brahmi Leaves, Amla Powder, Bio Fertilizers and many more. We are one of the leading Manufacturers, Exporters and Suppliers of these products, and also the most preferred name among clients. Avail premium Chewing Tobacco from our company. We are engaged in offering the best quality Chewing Tobacco that is processed from good quality Tobacco. 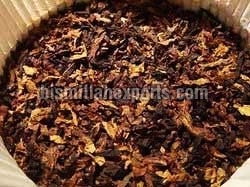 Chewing Tobacco, that we make available, is known for its amazing aroma and taste. This Chewing Tobacco is in accordance with the highest quality standards.